Bring a little extra style to the table with the Sedona Round Dining Table by Elements Furniture. 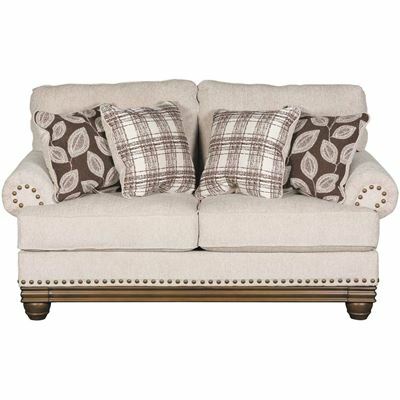 This stately, round table features a pedestal base with an intricate, scrolled design surrounding two handy storage shelves. The table has a distressed look with a dark brown finish for a vintage feel. 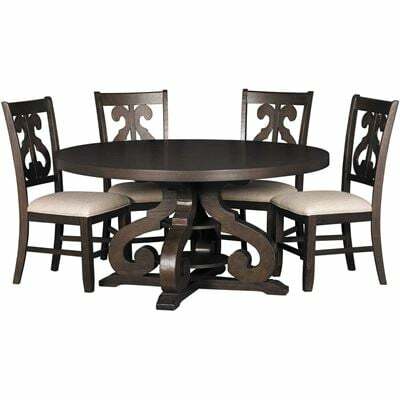 Bring a little extra style to the table with the Sedona Round Dining Table by Elements Furniture. 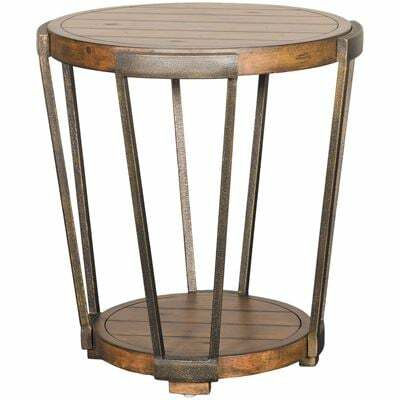 Sedona Round Dining Table by Elements. Features designer base and intricate style top. Constructed of hardwood solids select veneers and density fiberboard. This 60"round table offers plenty of seating space for any family. 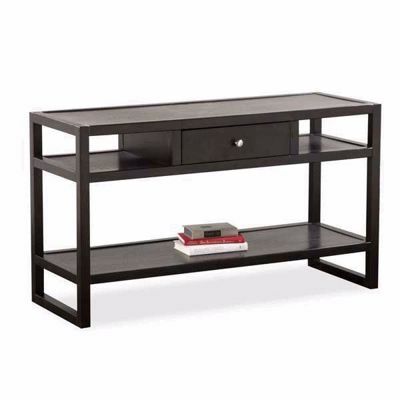 Table requires assembly if not delivered by AFW.